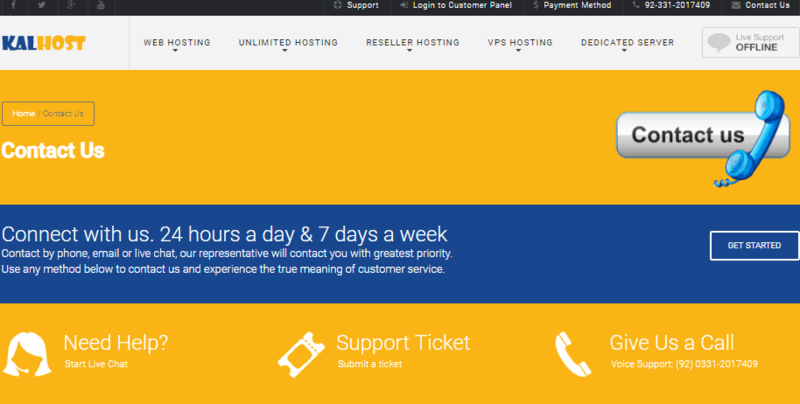 Kalhost Review 2019: Is Kalhost a Good Hosting? Kalhost is a Pakistan-based host that offers shared Linux and Windows hosting, VPS, and dedicated servers. Although the shared hosting is low-cost, VPS is slightly expensive. Kalhost was established in 2008 to provide reliable and affordable web hosting in Pakistan. So far, it has served over 28,000 customers and is listed as one of the best web hosting companies in Pakistan. It supports both Windows and Linux operating systems in shared, reseller, and VPS environments, and also offers dedicated servers. The servers are located in the United States. Customers are offered the Plesk control panel on the Windows plans, which supports URL rewrites. This cleans up URLs to be more user and search engine friendly, which is great for SEO. Also, Kalhost supports ASP.Net and PHP. Some of the development tools supported on the Linux plans are PHP, Perl, Python, and Ruby on Rails, and it uses the cPanel control panel. Users also have access to the Softaculous auto-installer for easy installation of applications like WordPress, PrestaShop, and ClipBucket. Kalhost also offers the RVSiteBuilder. With that, you might not need to hire a website developer. You can choose a free template, drag-and-drop blocks, add content, and have your website up in less time. I also like that it offers SSH access, which is not always seen with shared hosting, along with CloudFlare CDN. You can upgrade to VPS or dedicated server in one click. It offers up to 3TB bandwidth, four CPU cores, and 8GB Ram. One place where Kalhost sticks to its aim is with the shared hosting pricing. From the starter plan to the unlimited plans, they’re inexpensive. In addition, you don’t have to pay extra for domain registration and SSL. However, the VPS did not follow that route; it’s a bit expensive. Nevertheless, It backs all that with an assurance of no hidden charges. There’s no free trial, but Kalhost offers the standard 30-day money-back guarantee, so you can get a refund if you end up not being satisfied. Also, if you wish to transfer to Kalhost, it offers free domain transfer and support. You can contact Kalhost’s 24/7 support team by support ticket, phone, and live chat. I used the live chat and received relevant answers to my questions. There is also a knowledge base section, but it’s empty, therefore you won’t be able to use it to find questions to your answers. Kalhost is a reliable vendor in Pakistan. Its shared hosting is inexpensive, yet comes with tools like CloudFlare CDN, Attracta SEO, and RvSiteBuilder. The VPS and dedicated servers are good, as well. 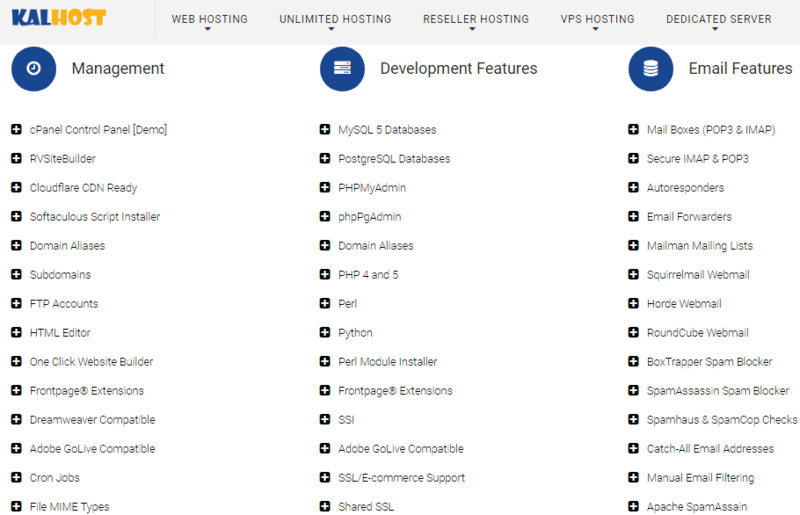 Wondering how Kalhost stacks up against other Web Hosting companies? Enter any other Web Hosting company and we will give you a side-by-side comparison.